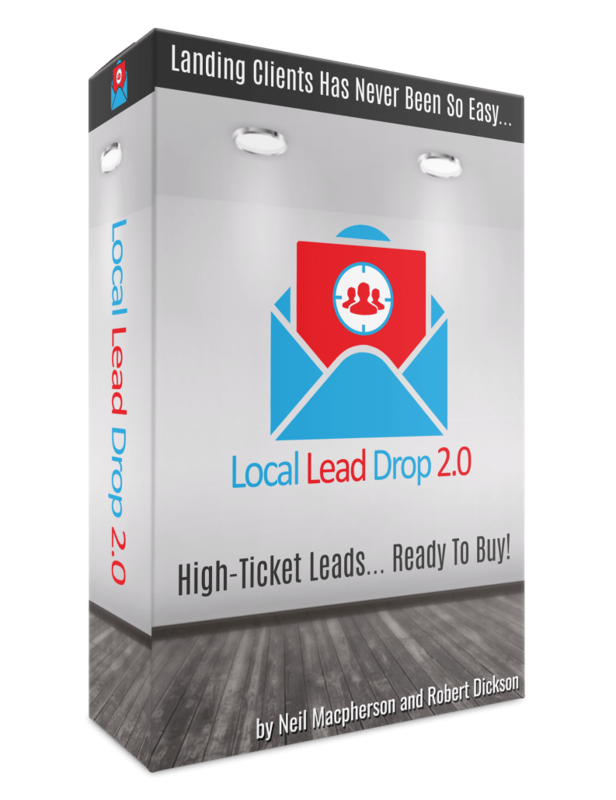 The Local Lead Drop 2.0 training is a complete guide to getting RED HOT leads dropping into YOUR Inbox just like us. Then we show you how to convert those leads like clockwork and turn them into longtime paying clients. We even show you how to expand your business rapidly using systematic referral strategies. This system works for almost any service you sell including video marketing, web design, SEO, Paid Advertising, Social Media Marketing and more! We break down the entire system in this one of a kind training from getting the leads, to closing the deal at 40% like clockwork and our rapid fire templates that help you stand out. Plus we included our Mastermind with students sharing success stories using the Local Lead Drop System 2.0! The best part is in Version 2.0 our system works internationally with newly added lead sources that work almost anywhere in the world! LLD 2.0 Normally sells for $97 but we currently have a 50% off deal that you can take advantage of for a limited time.